Fonts: choose from the best fonts in Google’s collection. Includes PO file you can use to translate the theme into your own language. Built-in lightbox galleries create attractive photo galleries for your visitors. Ten different style lightboxes included. Use the gallery format to turn any page into a slideshow. Easily add a header video or image to any page or post. Publish your podcasts to iTunes. 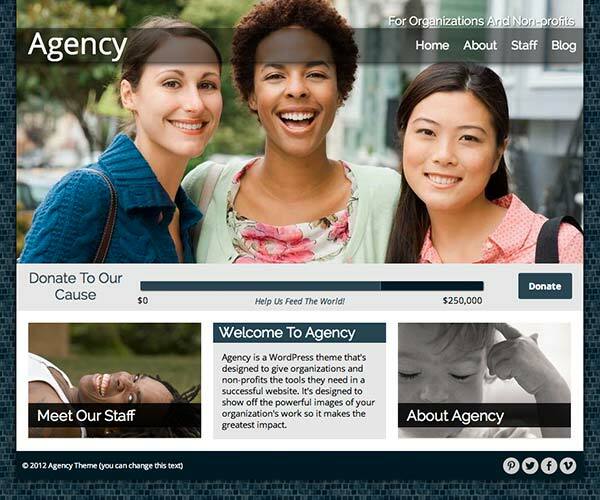 On the home page, use the donation bar, call to action bar or leave them out altogether. 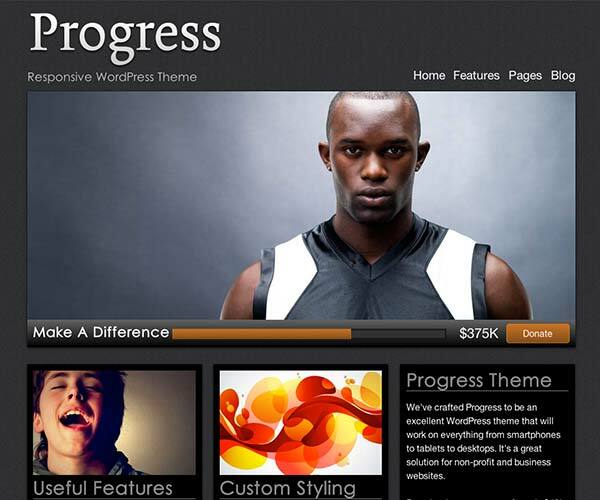 Custom widgets for: Featured Page, Featured Posts, Twitter, Featured Video and Facebook Like Box. Plus, Live comes with reliable support straight from us. newAdded made caption text use the slide link too. updatedMajor Update: Virtually every file changed. Options framework added. Responsive Design. Styling Options. Staff Section. New Slideshow. 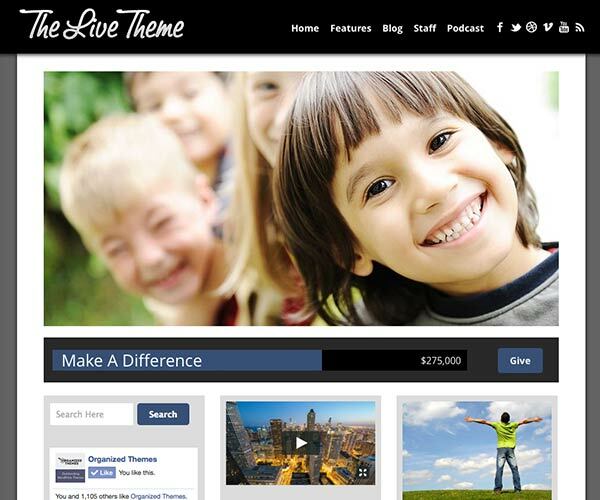 The Live Theme is a versatile and easy to customize WordPress theme. 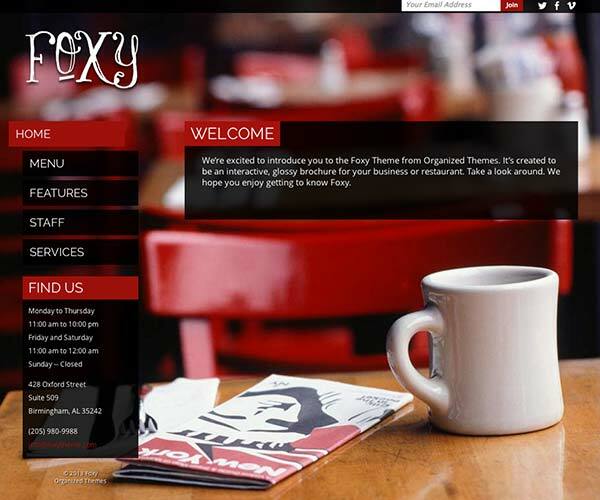 It's good for businesses, churches, nonprofit organizations or even individuals who are looking to take their web presence to the next level.